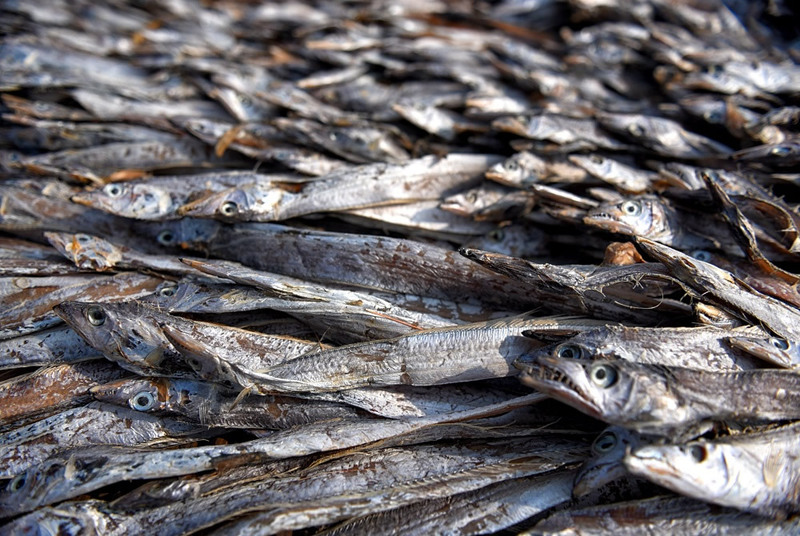 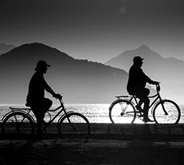 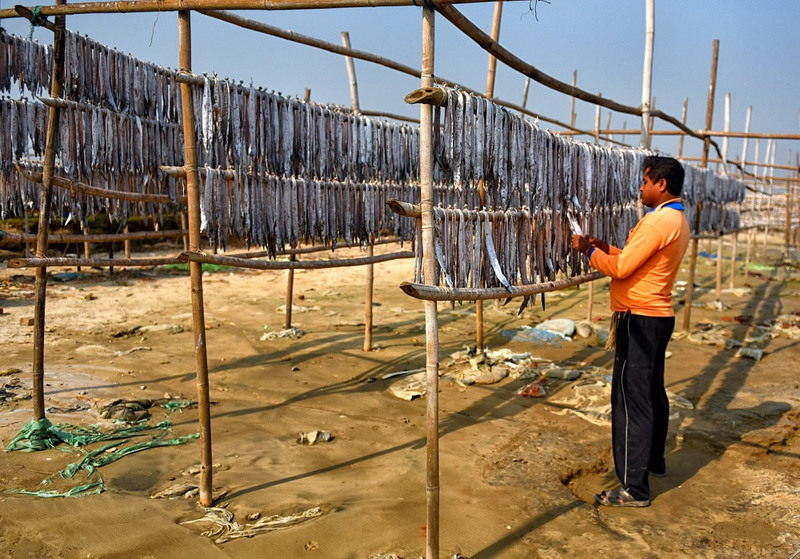 Dry fish processing is directly related to the economic development of the Coastal areas of India. 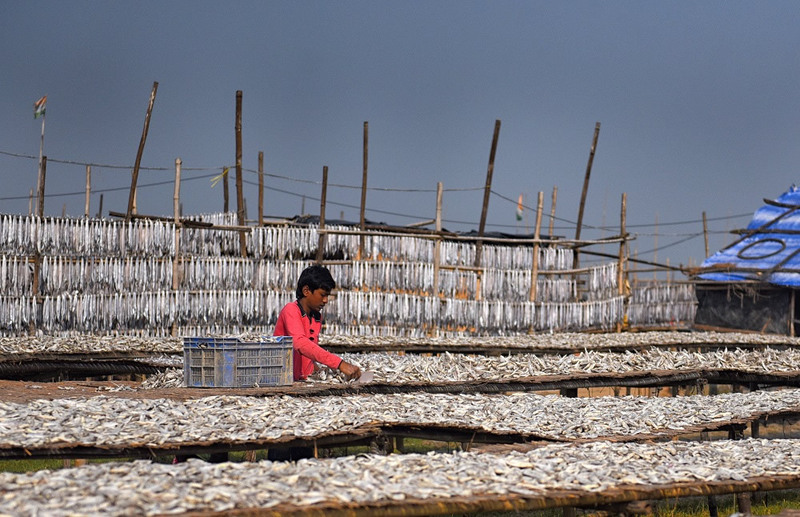 Research data says that India is the second largest fish producing country with the contribution of 5.43% in global fish production and West Bengal has been able to secure the second position among all the states of India. 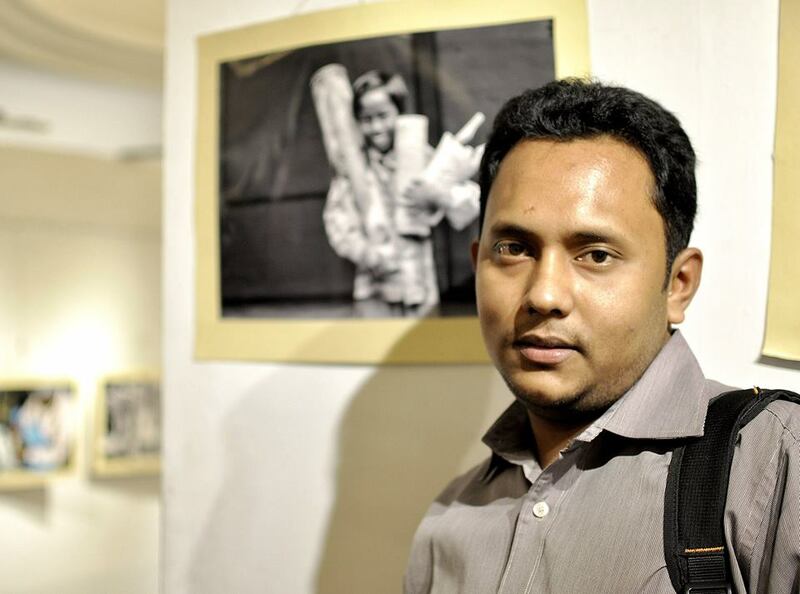 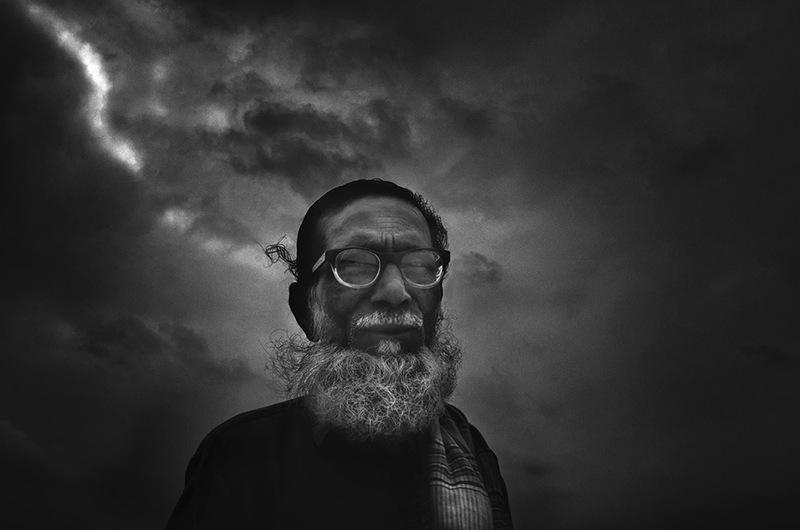 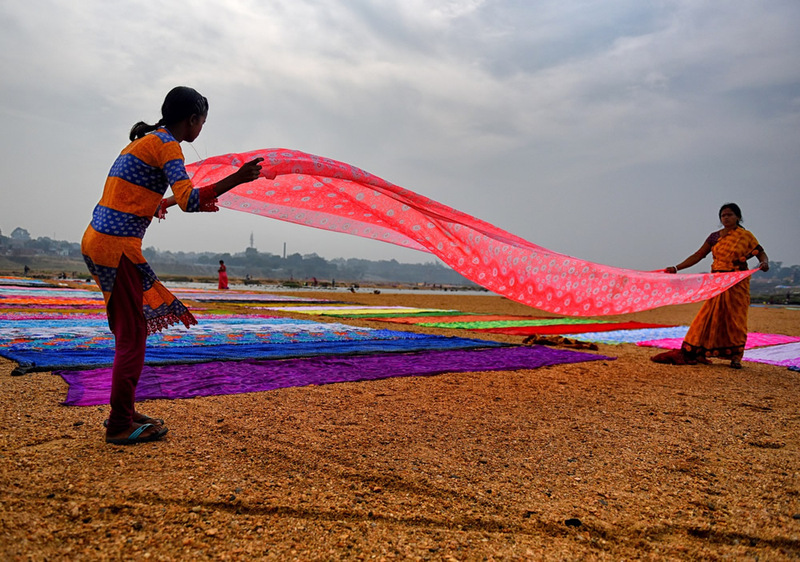 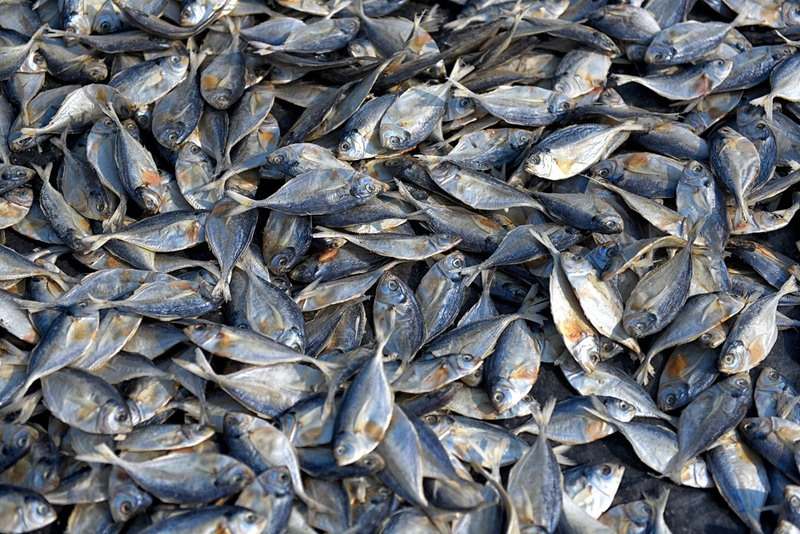 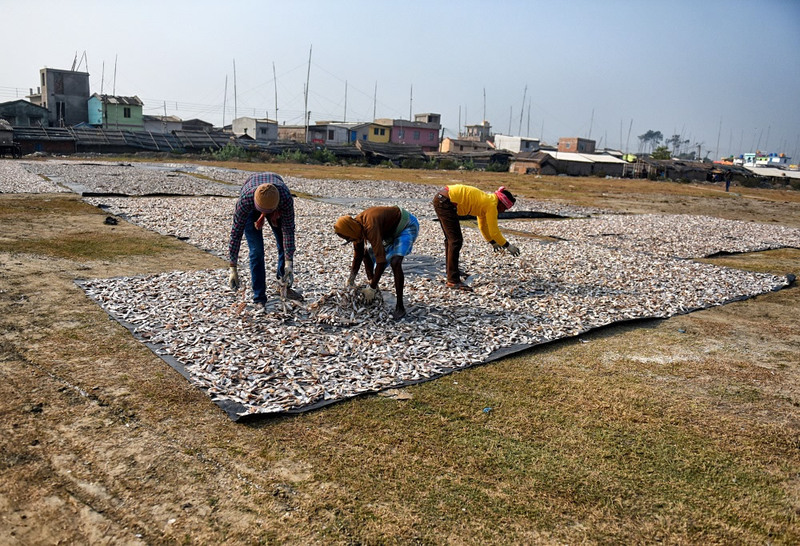 West Bengal is having many Coastal beaches where Fish Drying process is happening in a bigger way as having almost 160 Kilometre Coastal lines&covers mainly the districts of South, North 24 Parganas and Purba Midnapur the people staying nearby of these areas are completely involved in this process. 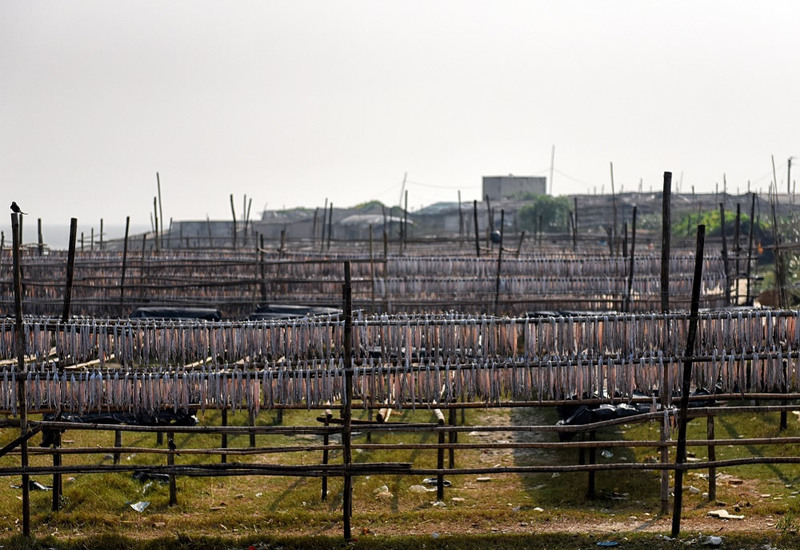 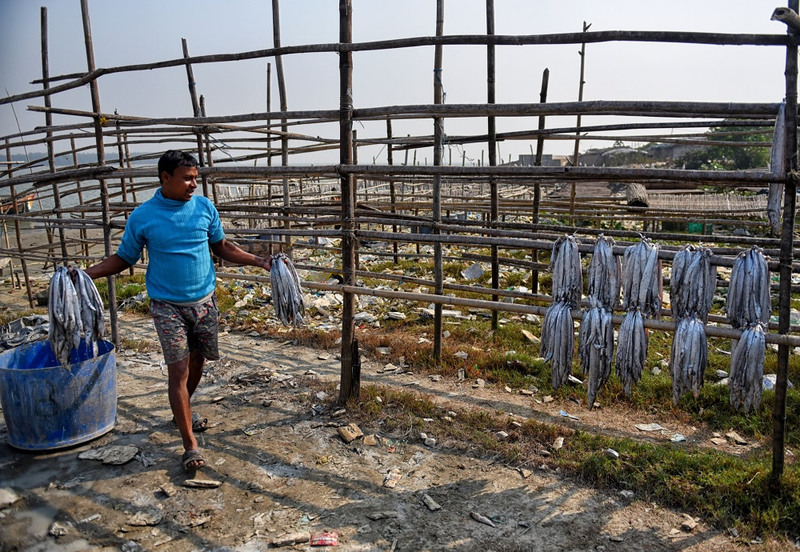 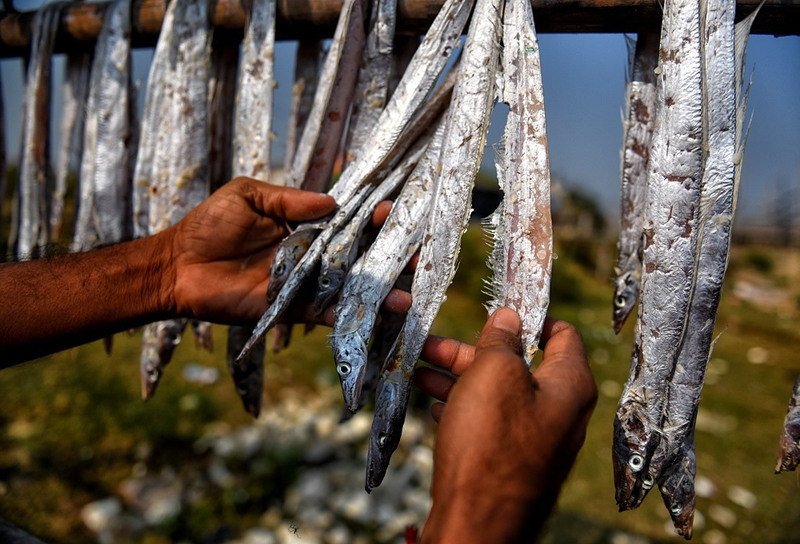 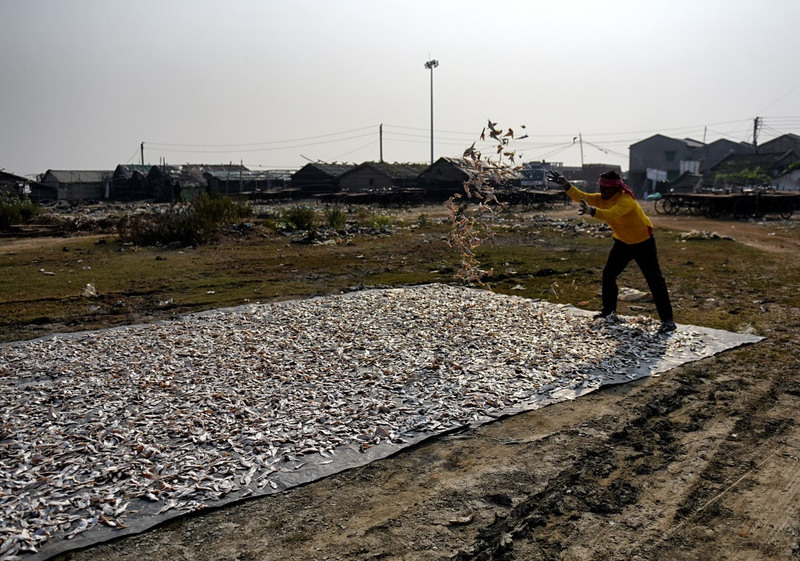 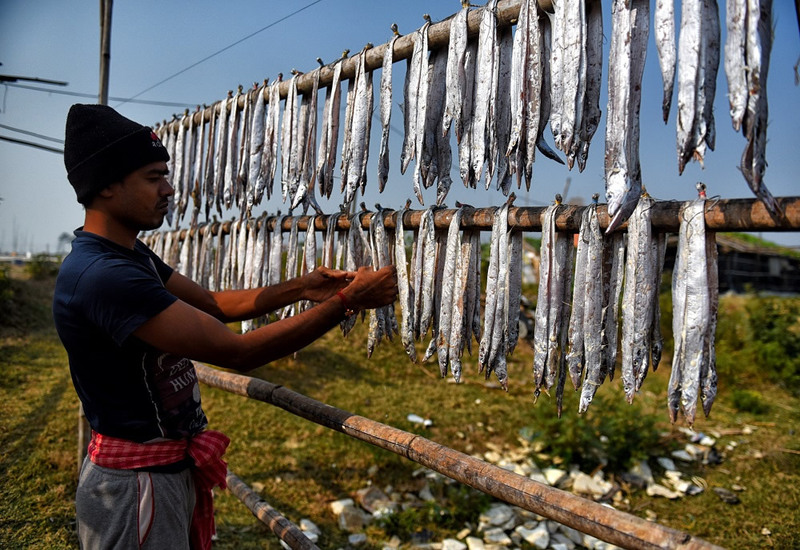 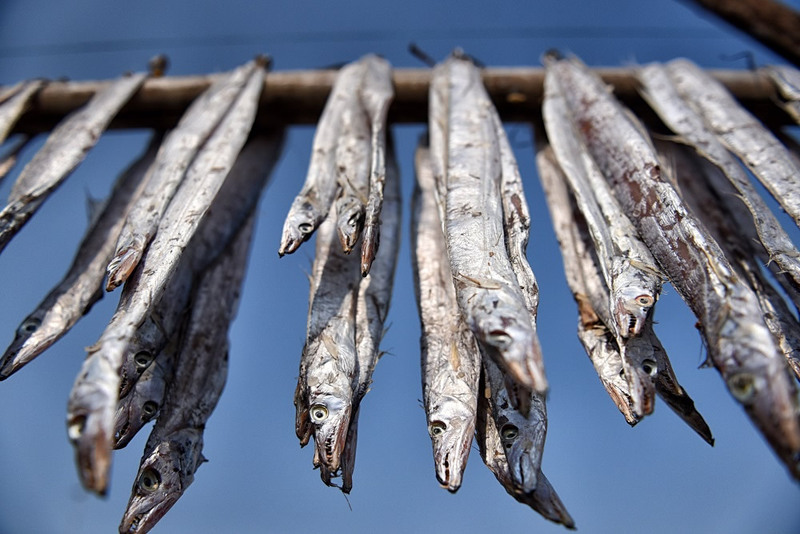 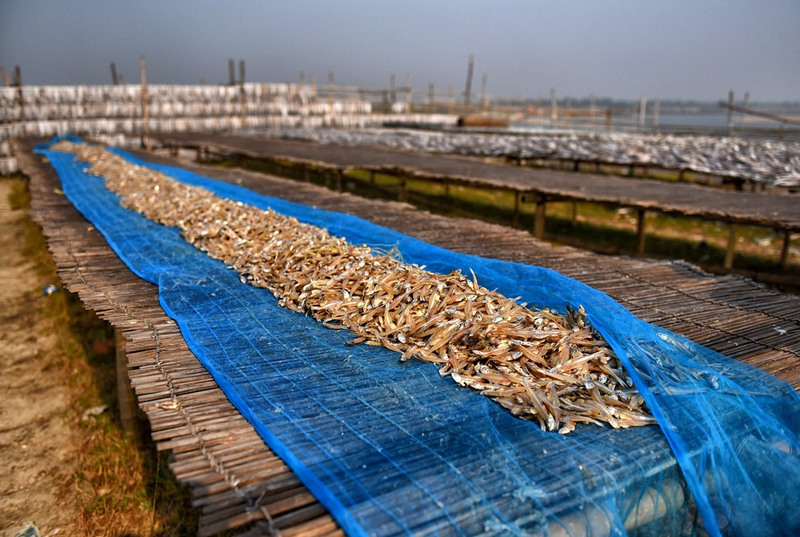 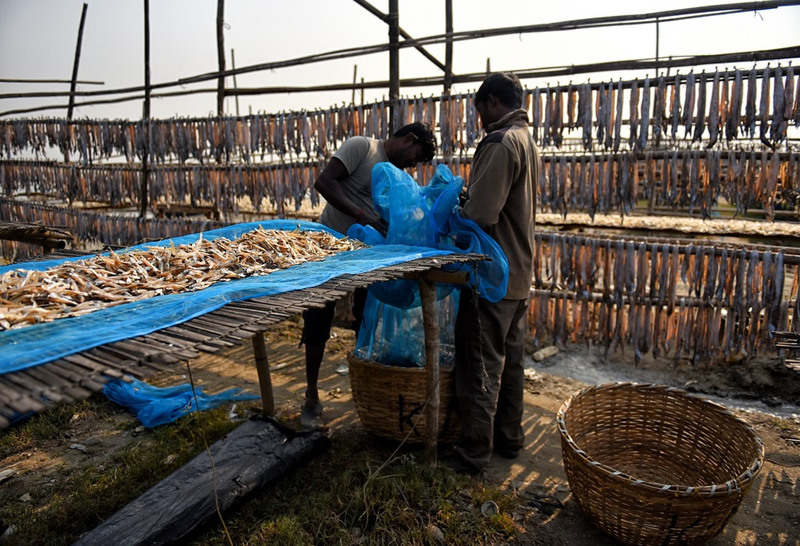 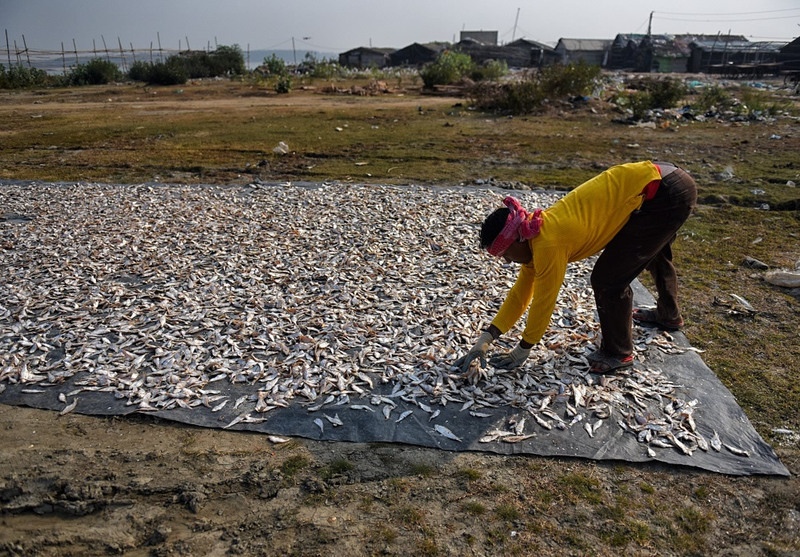 In Bengal, some of the prominent fish drying beaches are like Digha, Bakkhali, Frazergaunj, Junput, Mandarmani, Henry Island which contributes almost 8% of all form of fish exports of India. 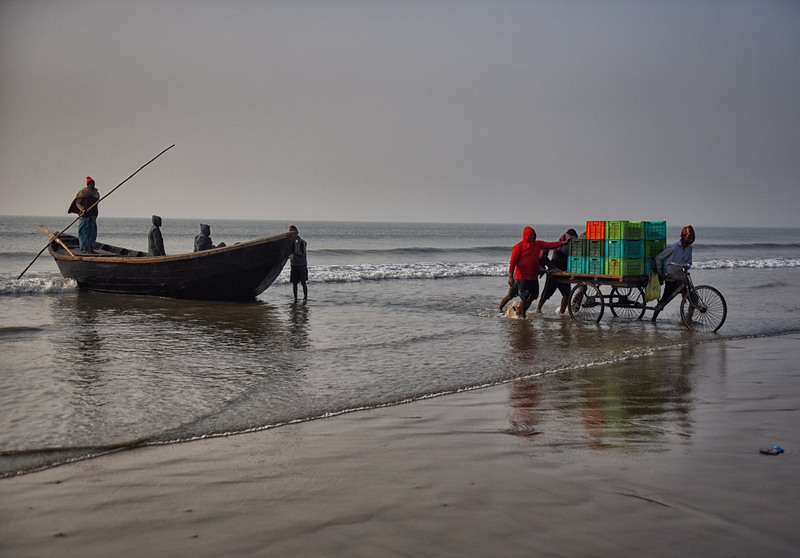 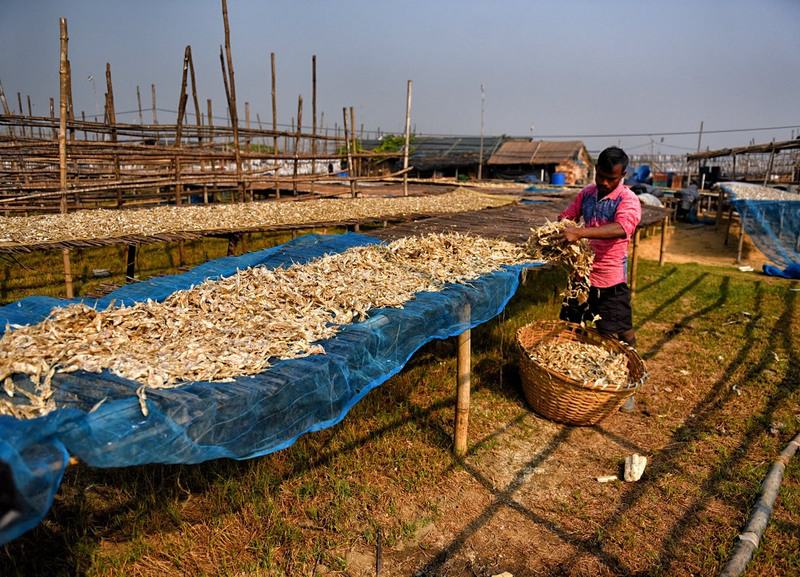 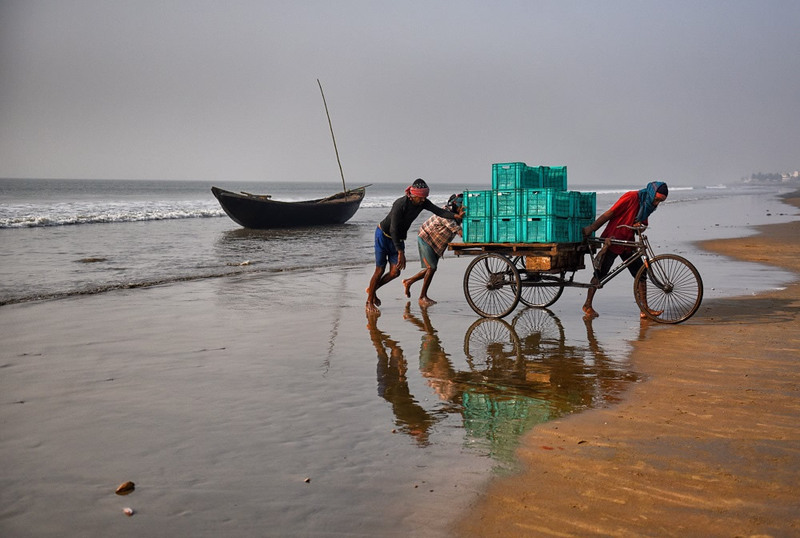 Under Purba Midnapur of West Bengal, Digha is one of the biggest export markets in the Coastal area of India where Dy fish processing is happening throughout the year except the monsoon time. 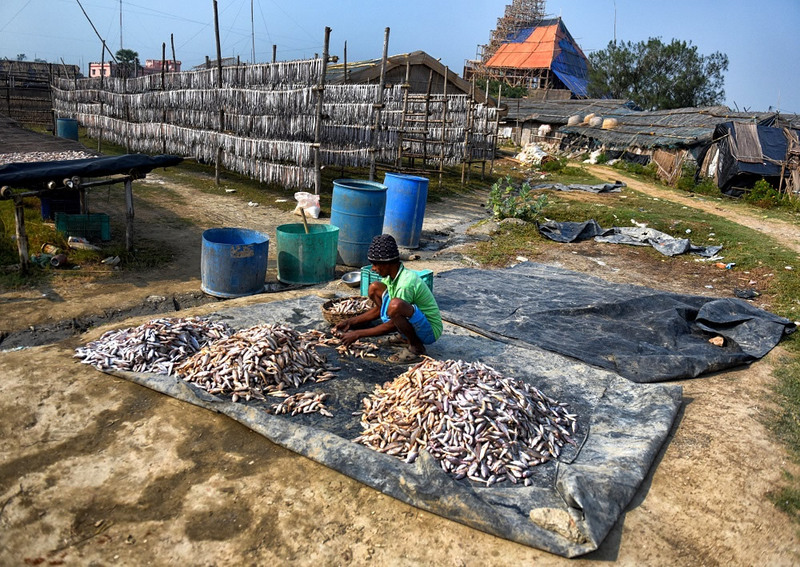 More than 50 % of these local people of these Coastal areas are involved in making Fish Drying, Regular fishing throughout the year. 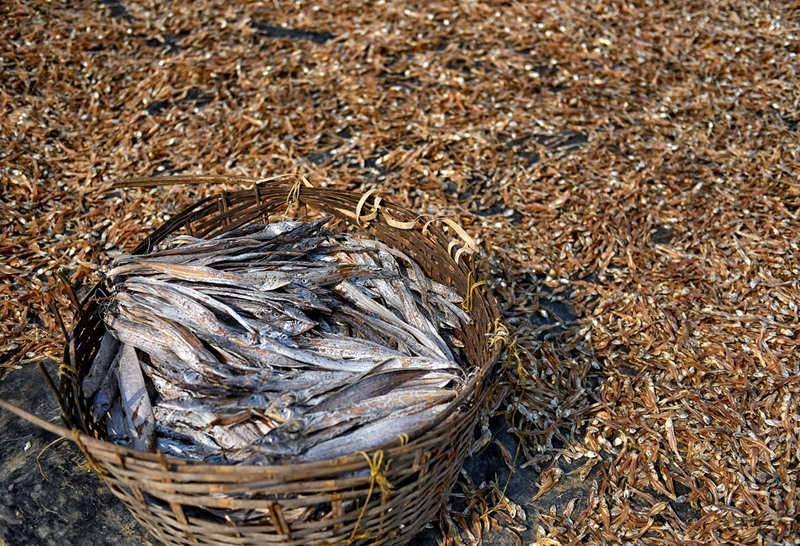 Dried fish like patia, lahara, vola, Chanda, ruli etc were commonly available in the market and are a part of this processing. 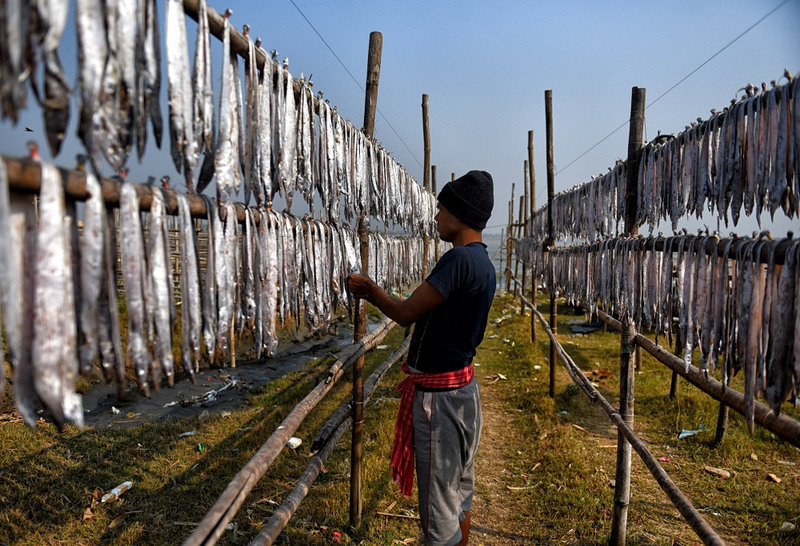 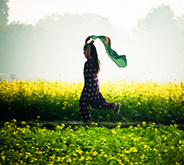 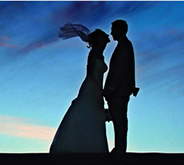 Winter time (October – January) is the pick time of processing, while other months are showing relatively low production & work suspended in the period of the rainy season (July – September). 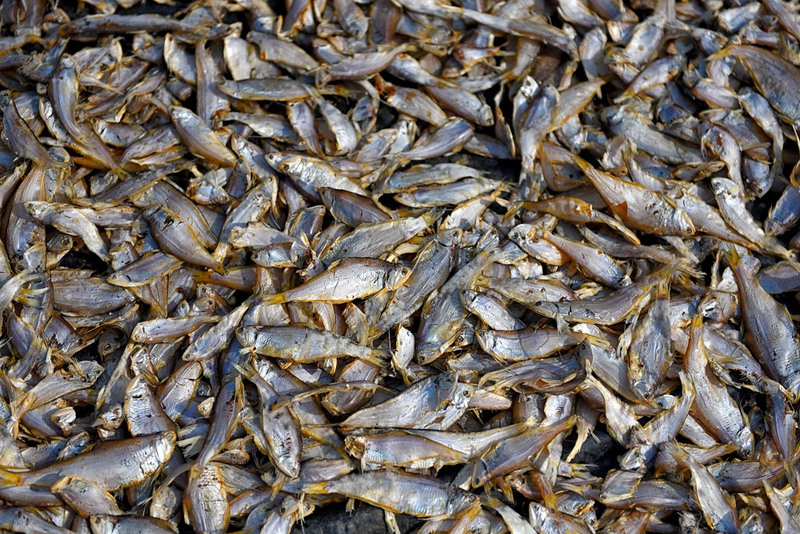 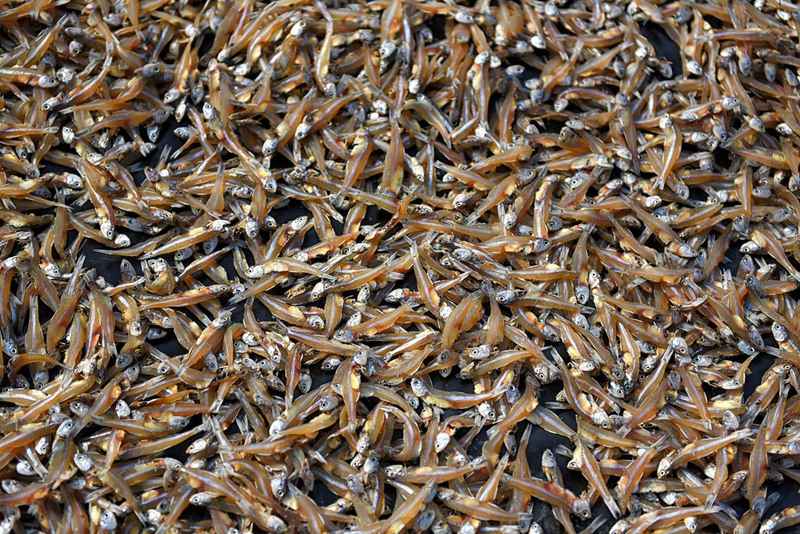 Quality of these Dry Fish varies on Size, weight & demand in the market. 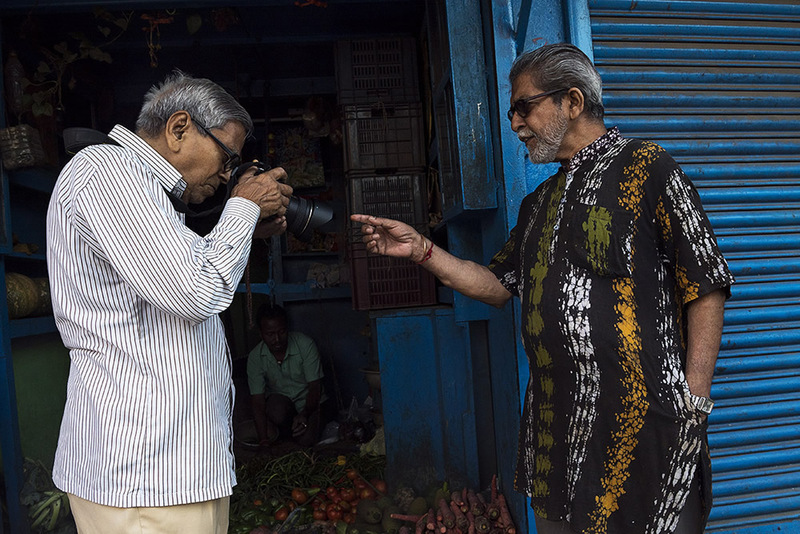 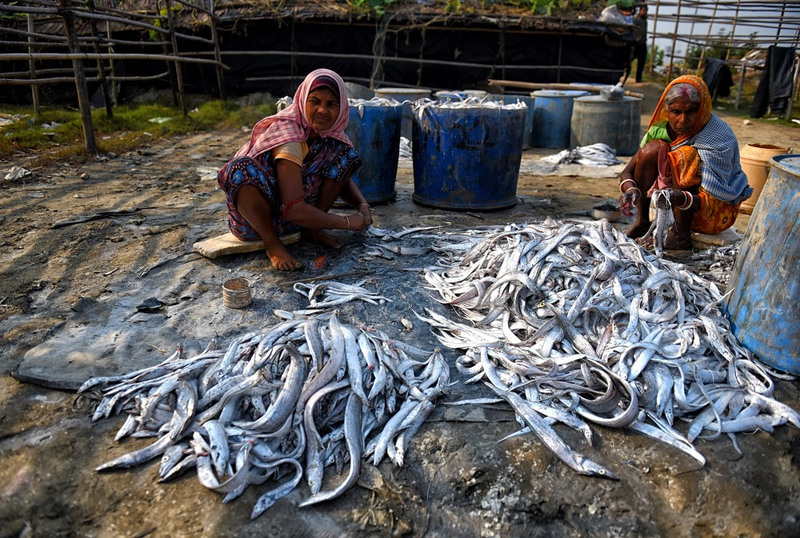 This Fish industry is one of the biggest small-scale industry for West Bengal which require proper Government supervision especially on the processing unit’s infrastructure, Hygiene issue which can help better production not only for the State but for the Country.